It’s another Albuquerque Comic Expo guest in this week’s Cool Actor spotlight. 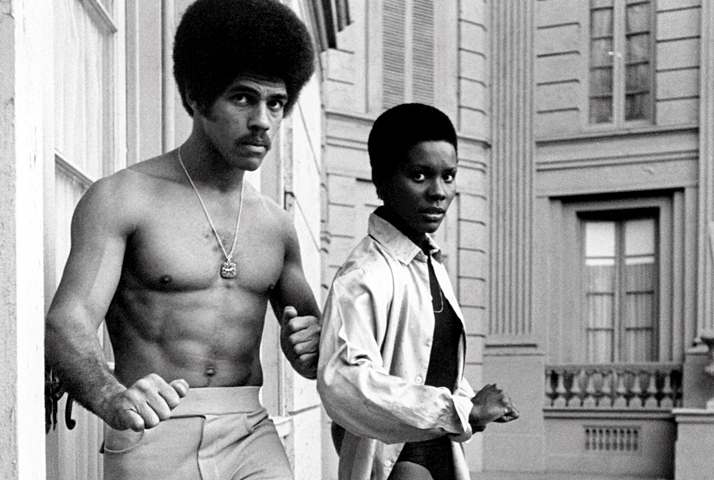 Jim Kelly is best known for his memorable role in Bruce Lee’s Enter The Dragon. Jim was an accomplished athlete who moved into acting in the early 70s, earning his breakout role in Enter The Dragon in only his second film. Kelly’s physique and charisma led to a memorable role as Williams, the egotistical and stylish martial arts expert who journeys to Han’s tournament along with his army buddy, played by Cheese Magnet fave John Saxon. From there Kelly moved on to a string of blaxploitation films, some better than others. Last Friday ScottP and I watched Black Belt Jones for live movie tweet night and we were both impressed at how much fun the movie was. Whether it was the martial arts action, the over the top characters and jive dialogue or the cool outfits Kelly was wearing, Black Belt Jones always had something to hold our interest. Kelly’s larger than life persona and imposing physical presence were central to the story and really carried the film. From there Kelly moved on to Three The Hard Way starring blaxploitation icons Jim Brown and Fred “The Hammer” Williamson and directed by the legendary Gordon Parks Jr. The plot revolves around a group of white supremacists introducing a toxin into the water supply that only harms blacks. Brown, Jones and The Hammer take it to whitey and foil the plot with some completely nutso action scenes. Kelly starred in a few other exploitation films through the late 70s until his career fizzled out. According to IMDB he works as a tennis instructor these days. All I know is I’m really looking forward to meeting Mr. Jones at ACE and I’m truly hoping he’ll be wearing some fly 70s threads and sporting that iconic afro.